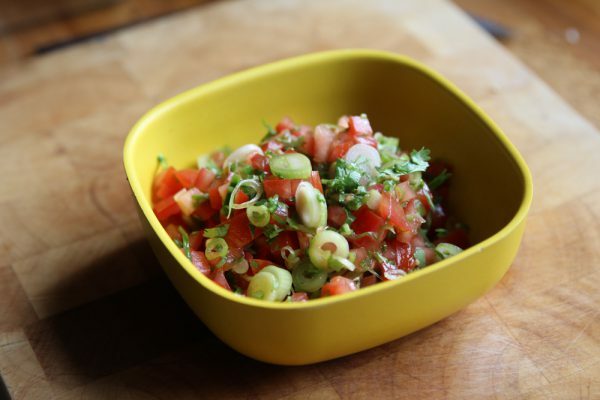 This Quick Tomato Cilantro Salsa is one of those recipes you will keep coming back to. Oh, the salsa is not actually quick, but it is quick to make. 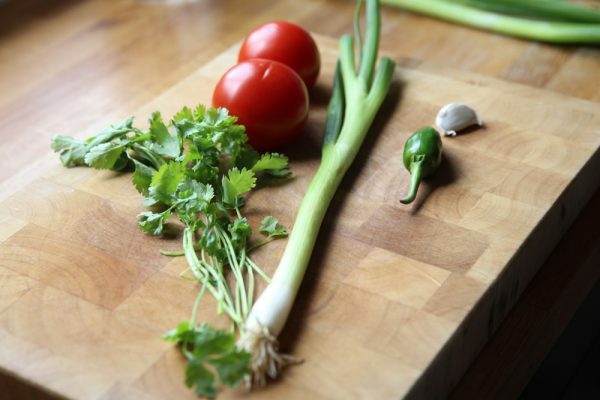 So let’s make this Quick Tomato Cilantro salsa. 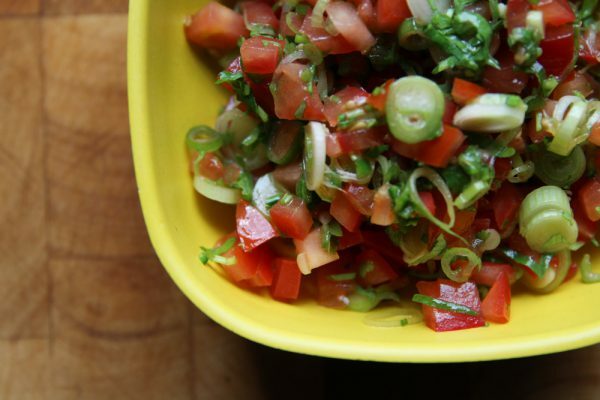 It’s such a simple recipe, a few tomatoes, a scallion, some jalapeno, fresh cilantro, a squeeze of lime and you’re good to go. I more or less always make this when it’s time to eat tacos but it works with a number of dishes. As a side for anything you will put on the grill. Or maybe for a spicy bruschetta or just for dipping some tortilla chips. Now let’s make the salsa. Chop the tomatoes and slice the scallions. Dice the garlic and jalapeno. Combine the vegetables and squeeze in the limes and add the olive oil. Roughly chop the cilantro and add. Season the salsa with salt and pepper. 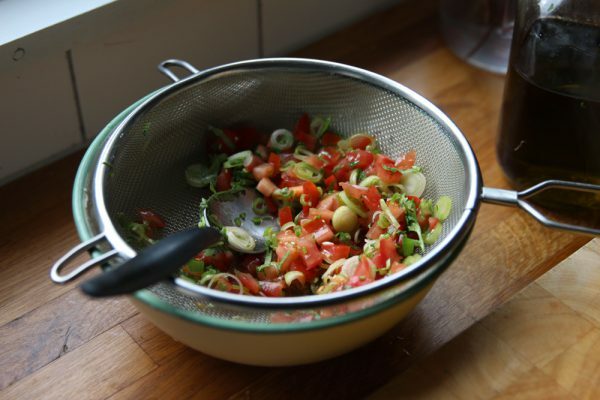 Then transfer the salsa to a sieve so that the excess liquid can drop off. Serve. 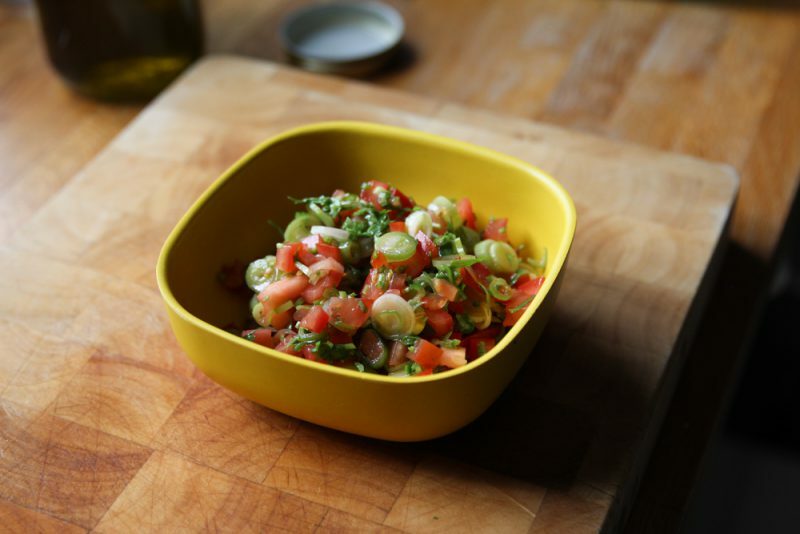 The salsa can be prepared a few hours before serving and it tastes best the same day. It will keep for another day or two but will loose some of its freshness.